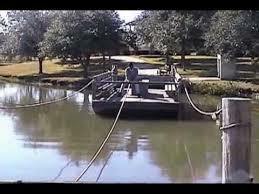 We headed for Louisiana a day early in order to beat what the weatherman said were severe thunderstorms. I guess it's true what they say: little boys who lie grow up to be weathermen. Except for one short bout of rain (we weren't even home), there was nothing. Anyhow, made it back to Lafayette and immediately started looking for Billy's Balls. This is the Boudin capital of Louisiana and everyone sells them, along with cracklins (fried pig skin) and crawfish (mudbugs). Boudin are pork sausages but Billy makes them even better by stuffing them into balls and deep frying them. RRR really didn't like them but I think they're worth a trip to Louisiana whenever you can get there. We also took a tour of the oldest rice mill and saw how rice was produced. Very interesting and lots of fun rice products to look at. 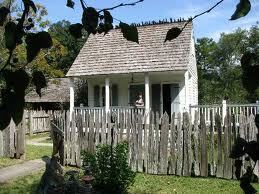 We toured Vermilionville, which was the original Acadian settlement. This place was amazing. 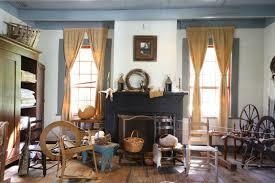 They had people in period costume, artisans sculpting wood, people in the smithy and a woman who showed up how to clean, card and then spin cotton into thread. It was a really interesting afternoon. The best, though, was Champagne's Swamp Tour. We spent 2 hours on the boat and saw some amazing sites: birds, bugs, turtles, little alligators and some huge 'gators. This is my second time on the tour and I'd go again - it is so beautiful! Last stop was Avery Island, where they produce Tabasco Sauce. Also a very interesting tour, lots to see and the Jungle Gardens are amazing. We got 3 little tiny bottles of Tabasco sauce when we registered: for me, that's a lifetime supply. Of course, I couldn't leave Louisiana without trying crawfish. At Avery Island, I had a big dish of crawfish etouffee (that means stuffed or choked - which would be nearly impossible, given the size of the mudbug). Anyhow, it turns out that they are delicious..... much better than tripe (thank gawd). It's sort of like shrimp, but with a swampier taste. Another reason to come back to Louisiana.